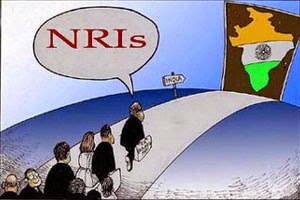 Property developers are expecting a 35 per cent surge in real estate enquiries from NRIs (non-resident Indians) with Bangalore turning out to be a favourite, according to a survey by the Associated Chambers of Commerce and Industry of India (Assocham). To tap the growing interest, which comes at a time when the global economy is stabilising and India is showing strong signs of revival, real estate companies here are pulling out all the stops by conducting property shows, exhibitions and opening overseas representative offices. Developers are also expanding their existing distribution chains and entering into strategic partnerships to encourage investors from this cash-rich segment, the industry body said. The survey was conducted among nearly 850 real estate developers in Delhi-NCR, Chandigarh, Mumbai, Kolkata, Bangalore, Hyderabad, Ahmedabad, Pune, Dehradun, Chennai etc. Bangalore was the most favourite property investment destination for NRIs, followed by Ahmedabad, Pune, Chennai, Goa, Delhi and Dehradun, the survey showed. Read More..